Found in the wild, Wostenholm & Son. Know anything about this? 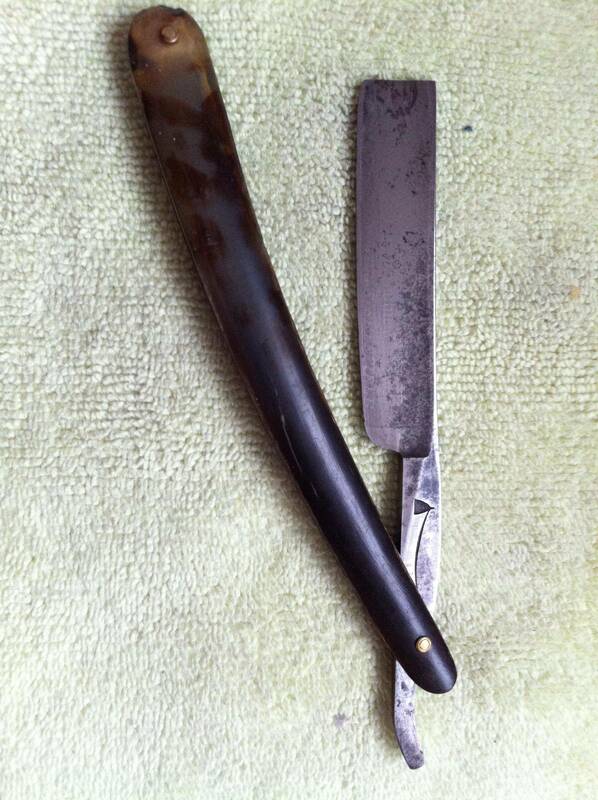 Blade appears to be in great shape, need a clean up and hone. Scales...not so good. What do you think? Those scales ar beautiful!! 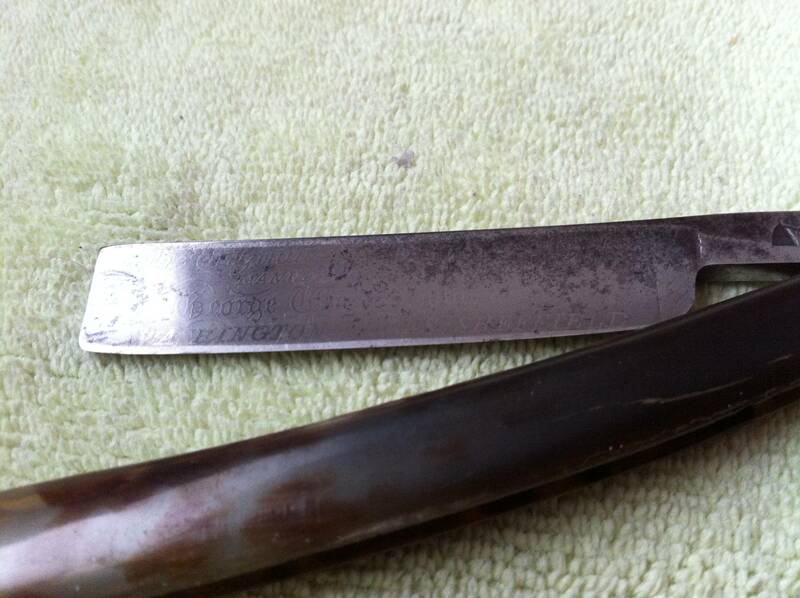 Just clean the whole works with a mild dish soap and a small paint brush with the bristles cut to about 1 inch. And pipe cleaners help too. 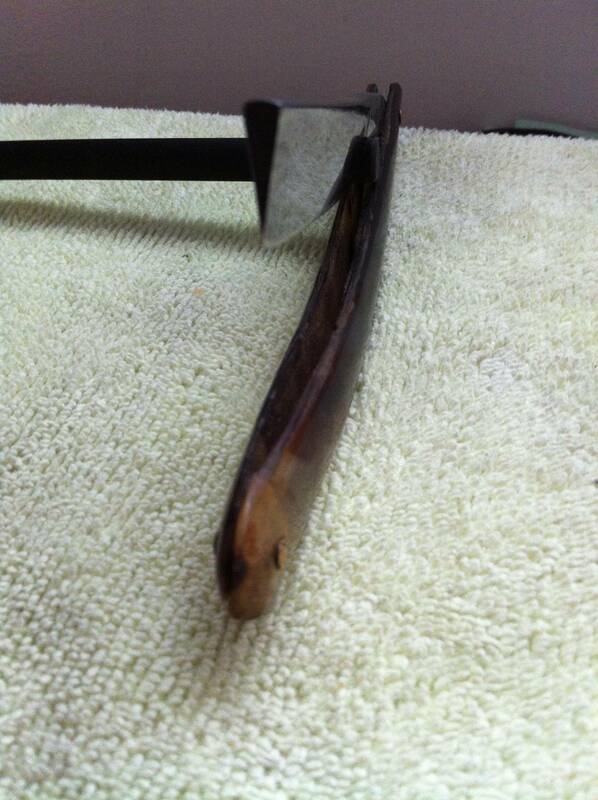 Dental floss can be used around the pivot inside the scales also. 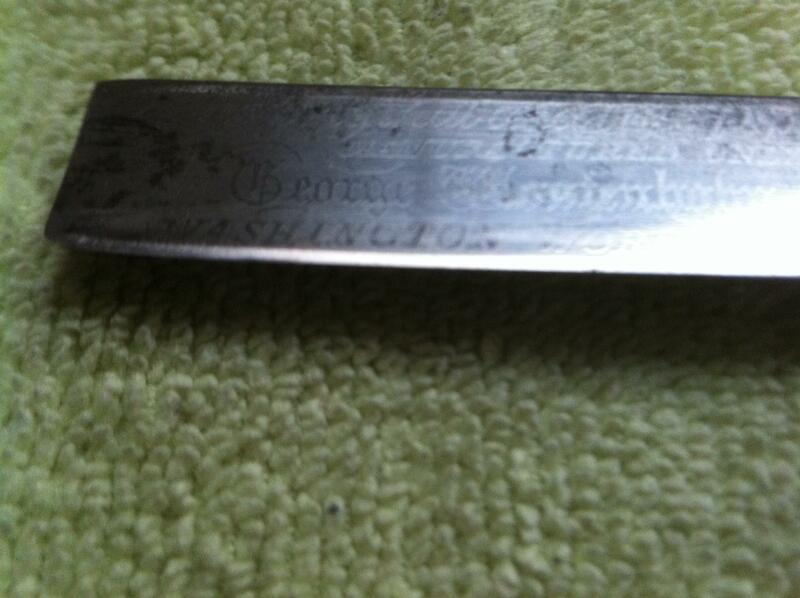 Blade is descent as is, any attempt to clean up the show side and the etching will be gone. The scales appear to be dyed horn and with a little soaking in neetsfoot oil, sanding and buffing can me almost like new. Looks like the scales are dyed horn. 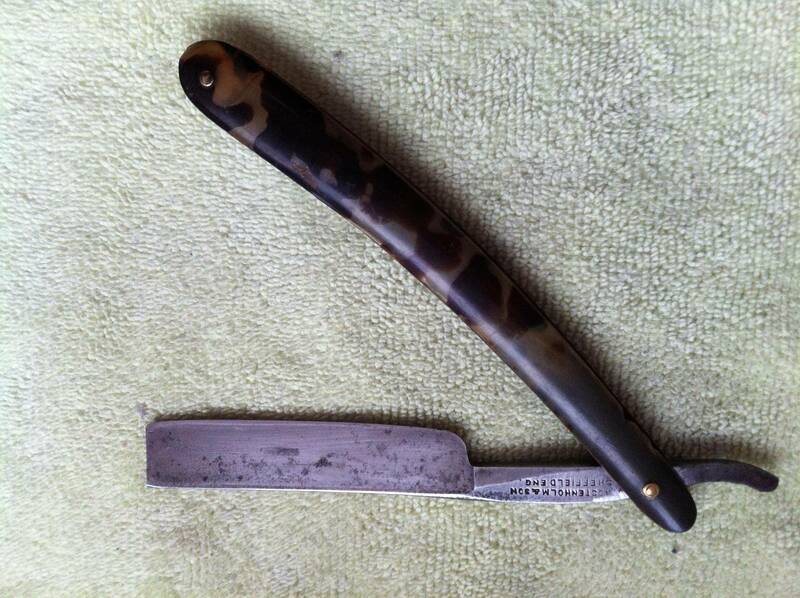 i had the exact same razor some time ago. it was a great shaver. I wouldn't worry too much about the imperfect scales, just smooth the edges of the big chips with sandpaper. It's "character"